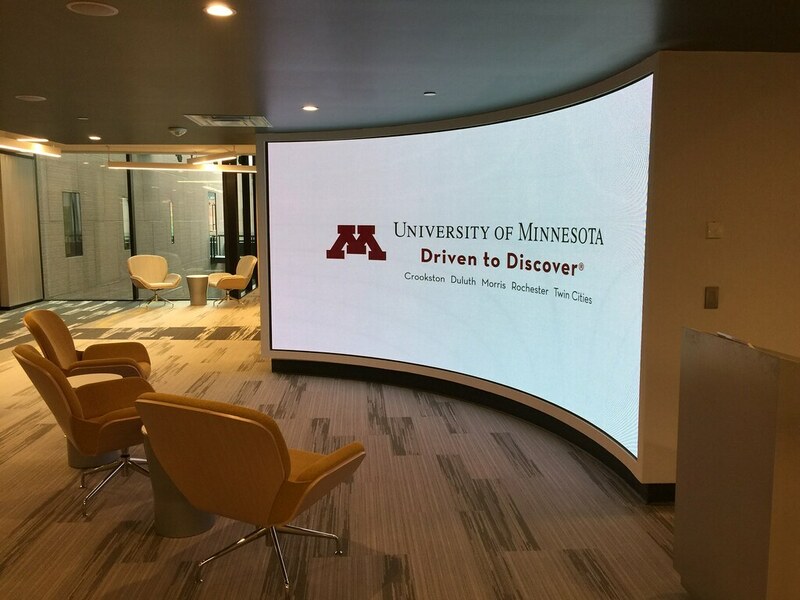 The Award-Winning Minneapolis Meeting & Event Venue partners with Tierney. 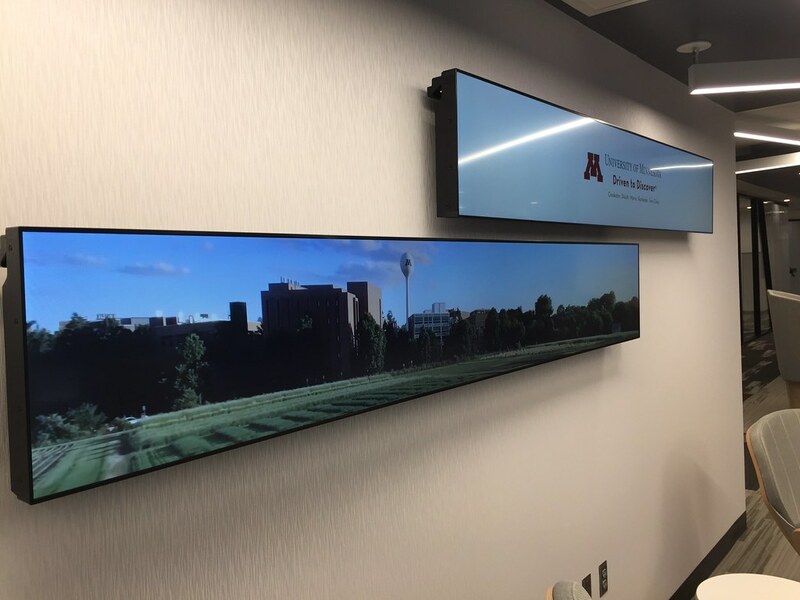 Consistenly rated 5 of 5 stars by event and meeting planners, the McNamara Alumni Center is a top Minneapolis venue for conference, galas, holiday parties and wedding receptions. 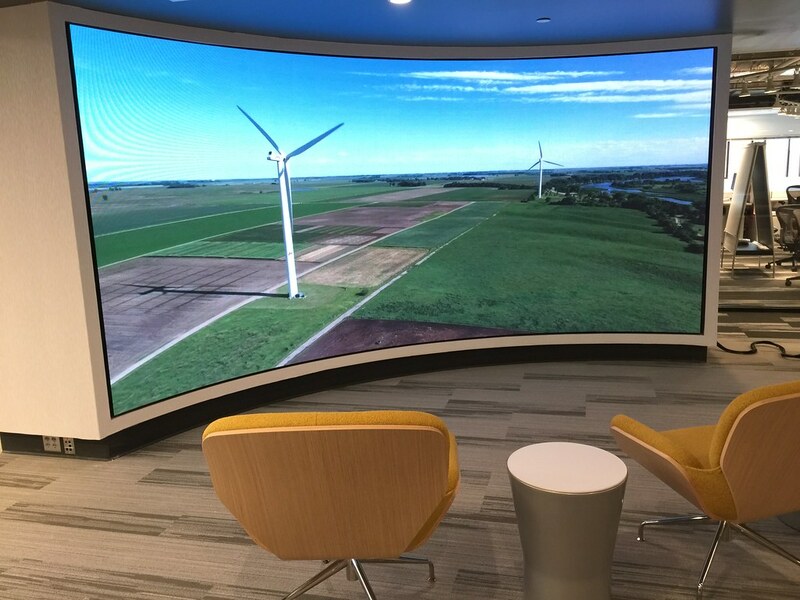 Located on the Minneapolis campaus of the University of Minnesota, McNamar's architecture is bold and beautiful, inspired by the Minnesota landscape of wood, water and copper. 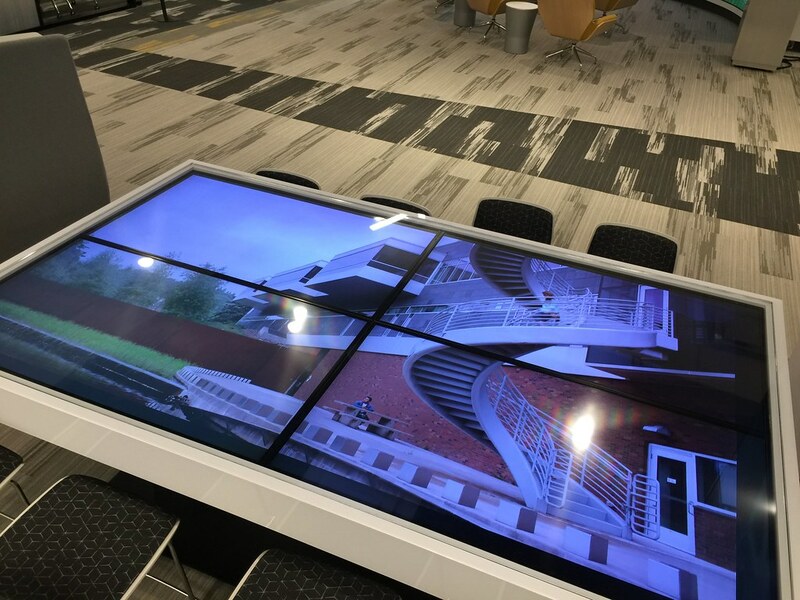 In continued efforts to maintain this level of standards the McNamara center partnered with Tierney to install and upgrade the center's digital needs. 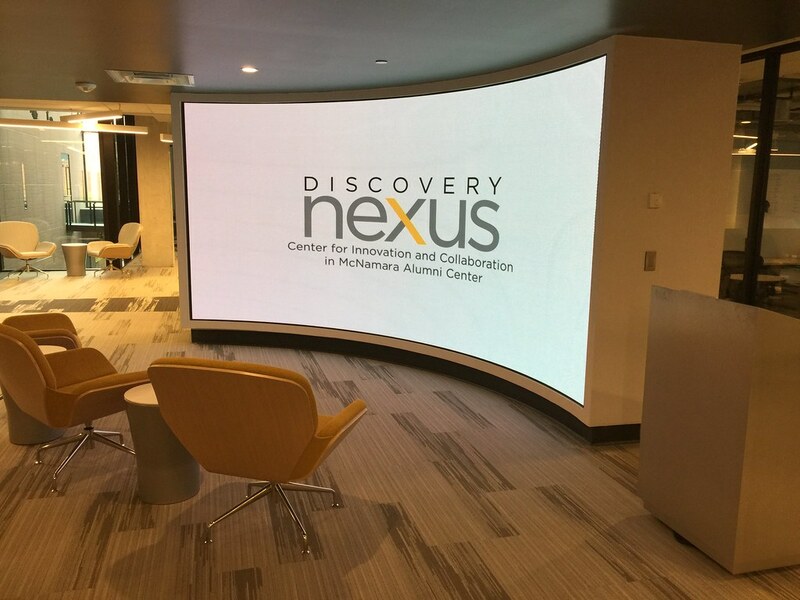 Tierney installed a 14.96' x 6.89' Curved LED wall, a 55" standalone display mounted to the back of the LED wall and four NEC 55" UHD displays for use in an OFE custom table in the McNamara Center. 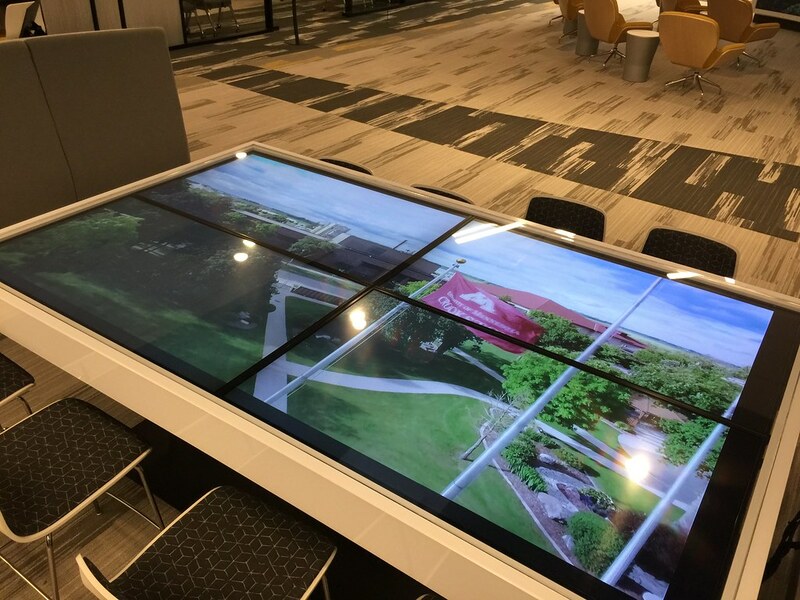 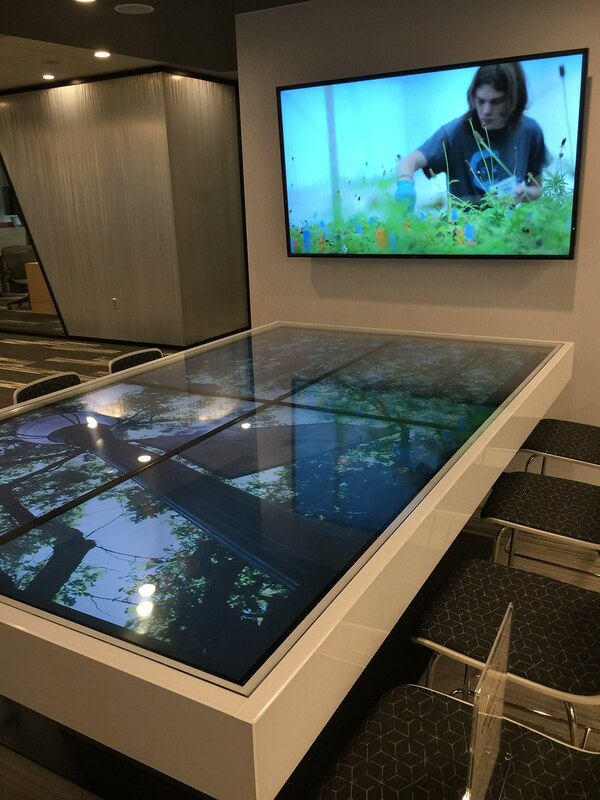 Two Brightsign digital signage players paired with the Wolfvision CYNAP wireless presentation device with four custom preset configurations were provided to feed both the video wall and non-interactive table. 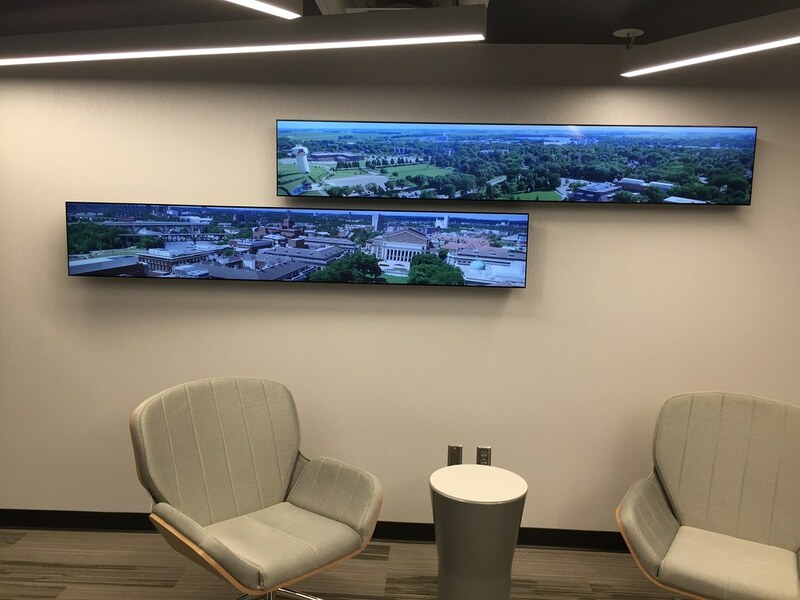 To enhance the audio experience Tierney also provided two wall mount PTZ cameras, 7 in-ceiling speakers, 8 pendant speakers and 3 in-ceiling subwoofers evenly distributed throughout the space. 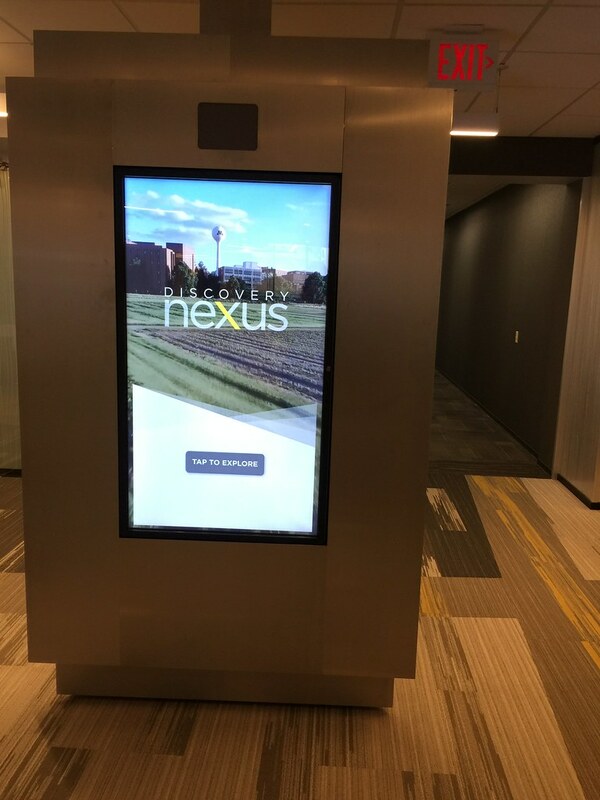 Three 55" interactive touch display installed in a single OFE kiosk within the Discovery Nexus area. 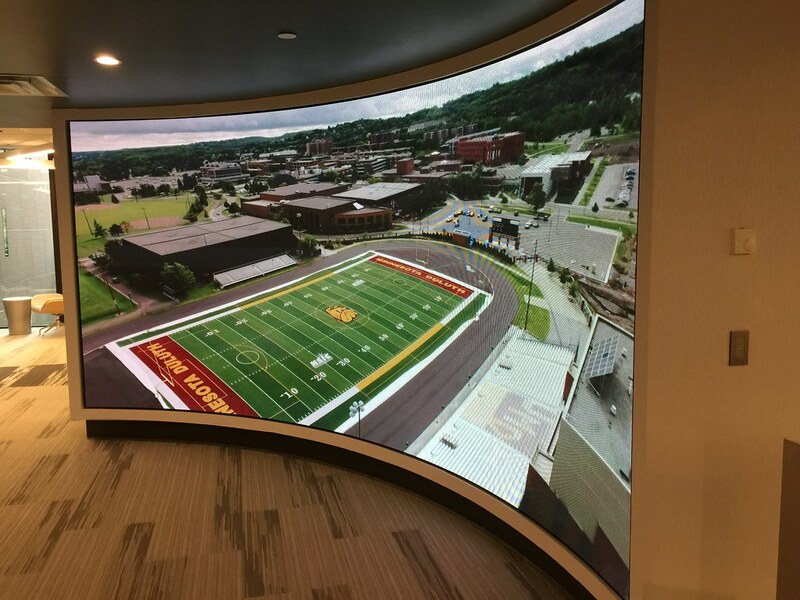 Two LG 86" Ultra Stretch displays with Brightsign digital signage plater. 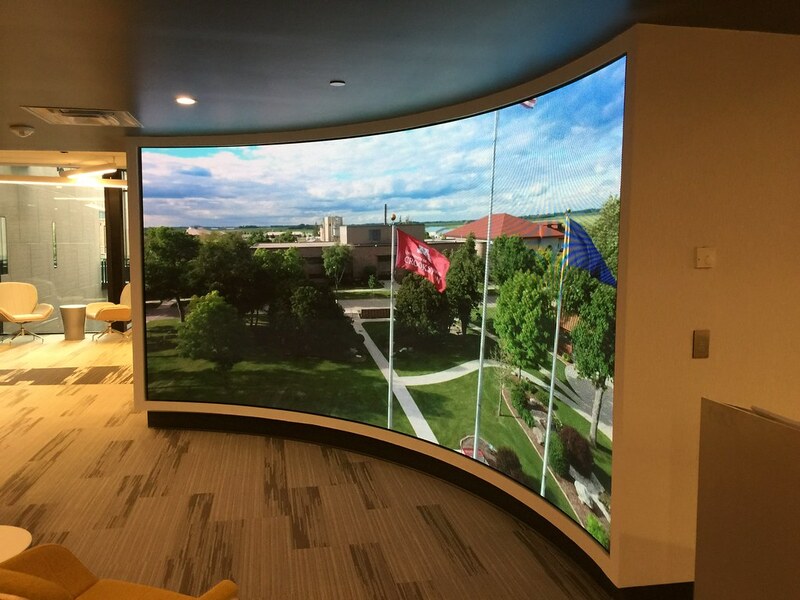 The lobby was enhanced with four ClearLED displays totaling a 37" x 76" footprint. 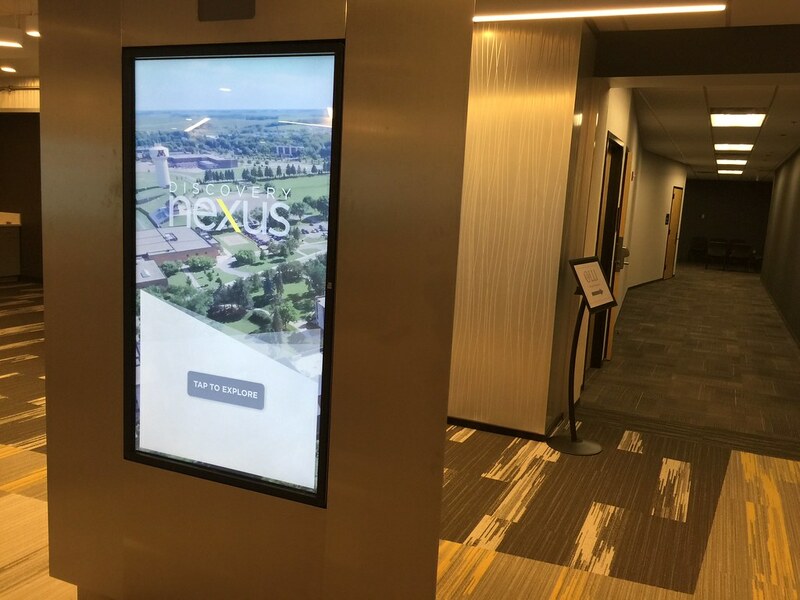 Source material to the displays are provided by Brightsign digital signage players. 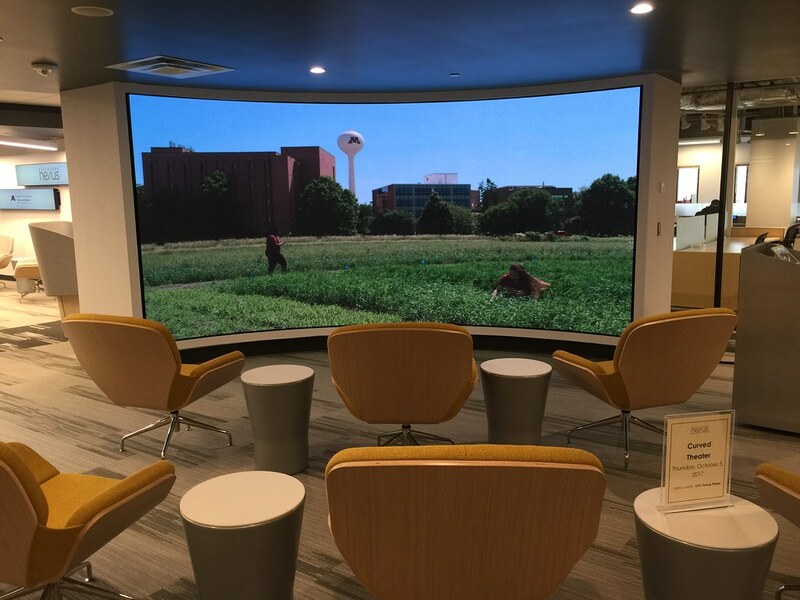 Tierney provided the center with an easy to control system in multiple locations.